John Werner has created a career out of bringing ideas, networks and people together to generate powerful results. Currently, John serves as an executive-in-residence at CogoLabs, a startup accelerator in Cambridge, MA. Before joining CogoLabs, John’s deep curiosity and penchant for problem-solving led him to a diverse set of roles spanning many fields and interests. Previously, John was a VP at Meta, a Y Combinator augmented reality startup based in Silicon Valley. 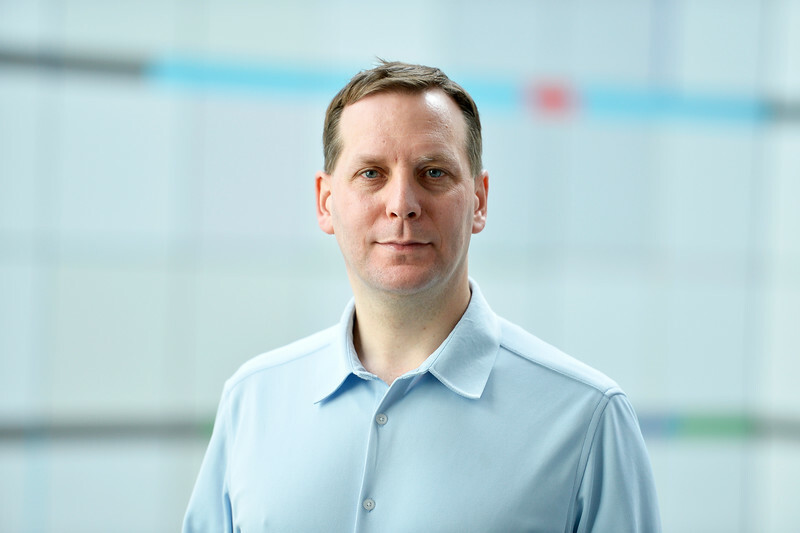 John’s also served as the Head of Innovation and New Ventures at the MIT Media Lab's Camera Culture Group, and the Managing Director of Emerging Worlds SIG, where he led the launch of collaborative innovation centers in Mumbai, Nashik, and Hyderabad. John also channels his passion and curiosity into cultivating platforms for thought and exchange. John is the Founder & CEO of ARIA, a community focused on the potential of augmented reality and the Blockchain+AI+Human, which takes place at MIT and the World Economic Forum with MIT Professor Sandy Pentland. John also founded Ideas in Action Inc., a non-profit that creates and produces TEDxBeaconStreet, whose talks have accumulated 250+ million YouTube views. John was also a co-Founder of Citizen Schools, an advisor for PhotoButler and Vestigo Ventures, a Loeb Fellow at the Harvard University’s Graduate School of Design and a graduate of Hamilton College. In his free time, John is a passionate photographer and an accomplished triathlete. John and his family live in Brookline, MA. John Werner is an innovator, mobilizer, and human connector. He constantly builds community and is a ‘moonshot’ thinker innovating as he goes while incorporating the latest technologies. He believes passionately in 21st century collaborative creativity in innovating with direct human or environmental impact. John is passionate about connecting entrepreneurs, mentors, and investors to drive social and cultural transformation. 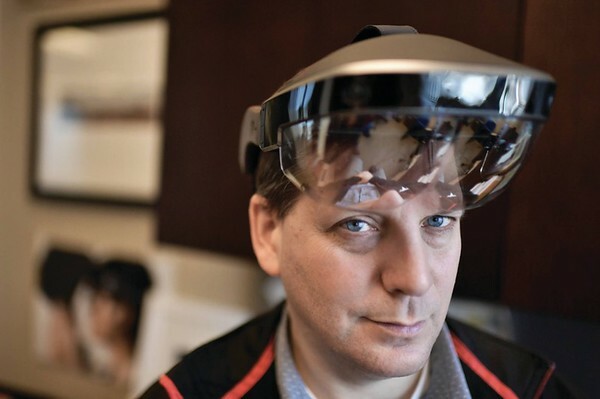 John Werner is Vice President Meta, an augmented reality Technology Pioneer company that was a y-combinator startup, based in Silicon Valley, where he strives to exceed expectations of what Augmented Reality (AR) can be – and do – in the future. Werner is helping Meta design a future where AR becomes a healthy, vital extension of who we are and creates deeper understanding, freer expression, and optimal productivity. Werner brings his experience pioneering innovative technology and network of relationships, to help Meta in the fast-growing field of AR. Werner is merging the best and brightest thinkers of the East Coast with Silicon Valley and the world (he has been to Asia 12 times in the last four years working on tech efforts) to help create an entirely new computing paradigm, a vector of real change for a new society. Werner believes that for fifty years we've been trapped in two dimensions, with flat input devices like the mouse, track pad and touchscreen as our only windows into the digital world. Werner is passionate about how using neuroscience can inform building a truly natural operating environment for navigating the future of computing. Werner with the use of a headset to help demonstrate. Werner attended The World Economic Forum this past year. He founded Ideas in Action, Inc., a non-profit that created and produces TEDxBeaconStreet, which is held at the John F. Kennedy Presidential Library. Inspired by his involvement with TED as a returning speaker, John has brought together a diverse group of 600+ innovators, storytellers and speakers. These talks have accumulated over 200 million YouTube views. TEDxBeaconStreet has produced 15 events and 600 talks and 30 of those talks were selected to be on TED.com. Werner is active in the TED community having attended 15 conferences and speaking at 10+. Werner is part of the TEDx board of advisors and TED ED braintrust helping to form connections between TED and K-12 education. Additionally, has spoken at TED, TED University and TED ED and TED Global, he nominates and supports TED Fellows, individuals with innovative ideas in the middle of their careers work to fulfill their research or performance goals with TED's help. Werner introduced the Adventure concept to the TED network. Adventures, where participants go behind the scenes at the most innovative labs, venues, and pivotal places to learn and invent together, generate transformative collaboration and nourish lifelong learning. He since programmed some 365+ Adventures for over 10,000 people and hosted and trained over 400 Adventure Catalysts (TEDx Organizers) from 80+ counties and all 40+ US States to put Adventures into practice worldwide, including over 15 at TED conferences. Werner founded and runs ARIA (AR in Action), a community of inventors, innovators, integrators, investors, and executives focused on the potential of augmented reality, producing over 300 talks with over 2500 attendees at MIT & NYU, with the next event scheduled to be held at Stanford. Werner launch Blockcahin in Action in 2018 with MIT Professor Sandy Pentland a summit at May 11, 2018 @ MIT Media Lab. Werner founded the summit after attending the World Economic Forum and realizing that early Blockchain applications and AI research have demonstrated the disruptive potential of both technologies to drive radical shifts in business and culture on a global scale, each enhancing the capabilities of the other, offering opportunities for better data management, improved financial transparency and more robust accountability. Blockchain in Action is convening top minds from the Blockchain and AI ecosystem for a day-long session of open collaboration, sharing insights and networking amongst innovators, thought leaders, investors, start-ups, researchers and corporations. This invitation-only meeting continues in Davos, Switzerland at the World Economic Forum in January of 2019, leveraging the insights gained at the session in May. The summit's talks at MIT and Davos will be video taped in high-definition and accessible on the event website. The goal of the summit is to develop a human strategy for developing this new -Blockchain+AI+Human ecology, ranging from how best to engineer and beta-test the intersection of these technologies, to planning how to promote universal adoption, to figuring out how to pay for it. We are about unHype…we want to build, test, and spread in order to have impact and deliver societal and cultural improvements, not just promote. In 2008, Werner was recipient of the Loeb Fellowship at the Harvard Graduate School of Design, offered to 10 mid-careers. Werner is a Senior Common Room member of Mather House and a Host Family for Harvard Undergrads. Werner received a degree from Hamilton College (New York). In 1988, Werner gained notability at Hamilton when, as a first-year student, he organized the first ever successful completion of a class-wide challenge issued yearly by Dan Chambliss, Professor of Sociology: If no one in his course showed up for the final exam, all of them would receive an A on it. But, if even one student took it, anyone who didn’t would receive a zero. In an age when instant mass communication was limited, "It was a classic exercise in game theory because of the near-impossibility of pulling it off," said Chambliss. "The downside, the risk, is enormous." The challenge was analogous to the popular Prisoner's dilemma, a thought experiment found in game theory relating to the conflict between cooperative and selfish instincts. "While it was in everyone’s vested interest not to take the exam, the fear that someone would take it was overwhelming." "I thought any class meeting the challenge was incredibly unlikely," Chambliss said. "And I think the only reason that it happened was that Werner was totally committed to making it happen." After obtaining a roster for both sections of the course from the Registrar, Werner created a "contract" for students to sign. All students in Sociology 101 received A's on their final exams that year. This was a defining experience for Werner; "After I organized this, I began to believe I could organize anything,". Professor Chambliss did not offer the challenge again. He also co-organized the Hamilton's successful campaign to set a Guinness record for the most people swimming in a 24-hour relay, setting the record at 1:42 AM on April 8, 1989. Werner and Eric Schwarz, Ned Rimer, and Anita Price developed a program that would become Citizen Schools. Werner was the first employee hired by Founder and CEO Schwarz. He was the first Executive Director for the organization, he also served as Chief Mobilizing Officer and Managing Director at Citizen Schools. He also founded an 8th grade academy that lead to the successful Writing program in Citizen Schools, which went on to take 400 lawyers and teach them to be writing coaches for children at Citizen Schools. Werner was one of the founders, and was a 19 year veteran of Citizen Schools, an education initiative that is now in 11 U.S. states, has 500 staff, and a 32 million dollar operating budget. He helped establish the organization from a concept paper in 1995, helping to redefine how learning happens across the US using business collaborations and after school programming. Werner worked with the Wediko Children Services, a school for behaviorally disturbed children in New Hampshire, where he was a Principal of the School (Mayor of Think City), before moving on to teaching special education in a Boston public school. Werner’s accolades include being recognized by BostonInno’s “50 on Fire” in 2014 (1 of 10), finalist 2013, named Top 10 Education Troublemakers – Deconstructing Education Brick by Brick by Business Innovation Factory 2011, and he was named one of Boston’s Ten Outstanding Young Leaders in 2006. Werner serves on the Advisory Board of Boston AR, ARVRA, and MIT VRAR Club. He served on the Massachusetts Governor’s Readiness Project, the Lt. Governor’s STEM Advisory Council, WGBH Community Advisory Board, and the boards of many Boston education and youth organizations, including past and current President of the Boston Hamilton Alumni Society. He was a Connector at Boston World Partnerships, member of LeadBoston and City to City Leadership Exchange, and was featured in the E100 Network of ENTOVATION International Ltd.
Werner is an accomplished photographer (www.johnwernerphotography.com - 25 million views to date, a Getty photographer, and his work has been used by TED.com, MIT Media Lab, Forbes, Aspen Institute and the White House. Werner loves racing triathlons and qualified and raced at the 70.3 Ironman World Championships 4x. John is a 2x USTA All-American. John earned a spot on Team USA for the 2013 ITU Sprint Triathlon World Championships in London (top 6% of the nationals - 96 of 1400+/12th in his age group). Werner coaches for Brookline Youth Lacrosse (8 years now). COMMUTING Werner commutes by bicycle where possible. wife Erika Alvarez Werner and their three children. "Augmented reality is the future interface for productivity. It is only fitting Meta, one of the ground-breakers in AR, has attracted John Werner, one of the leaders at the Media Lab, which has long been ground-zero for the invention of the future." "Augmented reality taking off requires pulling together some of the best minds across many disciplines to explore the myriad of uses of this technology. It's great to see Meta pull in John Werner, who has the connections and drive to do just that." "The Media Lab’s loss of John’s ubiquity, energy and imagination is Meta’s gain." "John Werner has been at the nexus of innovation and creativity for many years He lives at the intersection of so many diverse fields that combining his talent and energy with the opportunities that the team that Meta has in front of them will certainly produce novel and exciting results for the future"
"I have worked with John Werner for years and I am excited he is taking on this challenge and I know he will be a key leader in the AR space. One area AR can heavily impact is in healthcare- where hands free, contextual, interactive information can be very helpful to even lifesaving, for a surgeon in the OR who can integrate data ranging from checklists & vital signs, to manipulating 3D scans, Medical education is another area AR will impact-- from a nursing student leaning anatomy to patients using in collaboration with clinicians to better understanding their own disease and treatment options." "When I experienced Meta2 at TED in Vancouver - I had a profound feeling that i’d been offered a glimpse into the future. Engaging and uplifting, Meron Gribetz and his team understand that Augmented Reality is more than cool hardware - it’s about opening the possibilities of the vast world of information to a new dimensional space. And while I’m excited about Meta, I’m also aware of the challenges and twists and turns that this new technology will face as it’s makes it’s way out of the lab and into the hands of a world of innovators and digital explorers. Which is why I was so excited to see my friend John Werner making the bold leap from MIT to Meta. John’s has a remarkable track record of turning ideas into action - and he’s widely regarded as one of the leaders in his field. John brings a love of imagery, as the Head of Innovation at the Camera Culture Group at the MIT Media lab. A brilliant convener of community, as the Executive Curator of TEDxBeaconStreet. And a hands on leader as the founder of Ideas In Action a nonprofit connecting people around the world to inspire and set meaningful ideas into action. John is joining Meta at exactly the right time - as this next chapter for AR will be all about action. I’m excited to see the partnership flourish."